Waves remind us that every day is new and is a chance to start fresh. See the light peeking through the wave? Let go of yesterday and let the light of a new day fill you up. 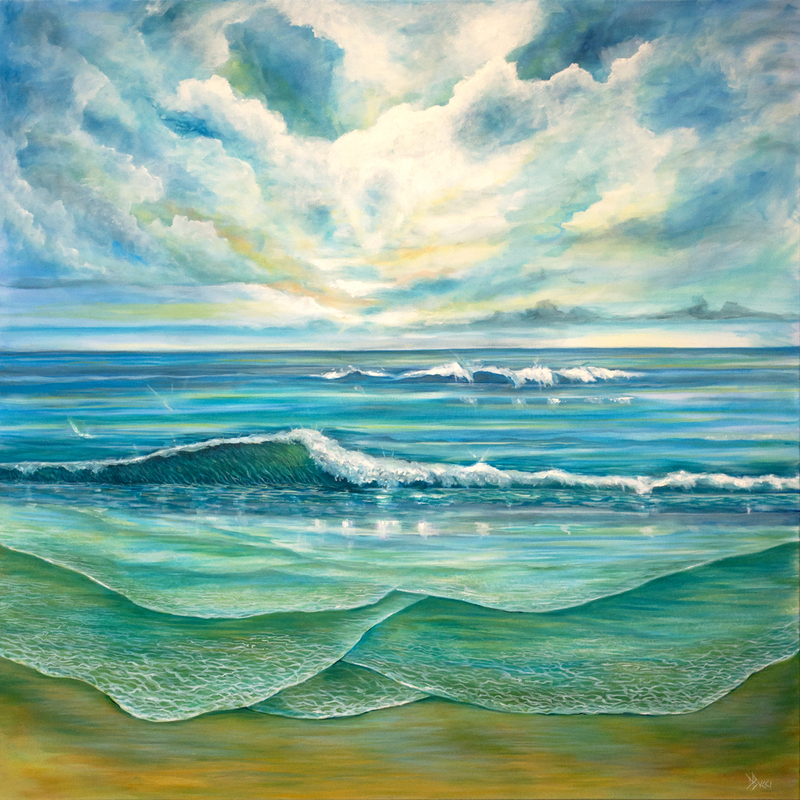 This painting is huge at 48"x48" so, no matter where you live, you can bring the ocean inside. The sides are painted so framing is not needed. The painting is finished with removeable varnish and ships with hanging hardware.